A flooded house is definitely an unsettling experience for its owner, to say the least. But such unfortunate situations do happen. The most logical way to handle it is to settle down, take quick and deliberate action, and weigh all the options including ways to sell house fast. Many homeowners tend to think that a flooded house is a total loss which would be difficult to sell or quickly dispose. However, this is not necessarily so as there are approaches which could save the day for a flooded home. A homeowner with a flooded house would be smart to immediately check if its property insurance covers flood or water damage claim. In one estimate from the National Flood Insurance Program, U.S. homeowners collected flood claim amounting to an average of $30,000. Not all homes are covered by flood insurance though. Coverage would depend on the home value, the severity of water damage, and whether the homeowner does have flood insurance. So cheer up some, if insurance covers your flooded house. Claims proceeds could be channeled to necessary home repairs which could help spur your efforts to sell house fast. You’ll have to roll up your sleeves, nonetheless, to check the full extent of the water damage the flood brought. Cleaning up the mess the flooding left means shoveling out mud and rinsing down all surfaces thoroughly. But first check for foundation or structural issues to ensure that it’s safe to move around the house. Wear protective clothing. Molds and other potential irritants thrive in moist, flood-damaged environments. All wet furniture and fabric items have to be removed and brought outdoors to dry. Ditto with foodstuff and other perishables which could spoil and cause contamination or illnesses. Help in damage assessment could be requested from professional flood inspectors. These pros, however, would be typically accessible based on your flood insurance policy where the spelled-out claims can also contribute in formulating ways to sell house fast. 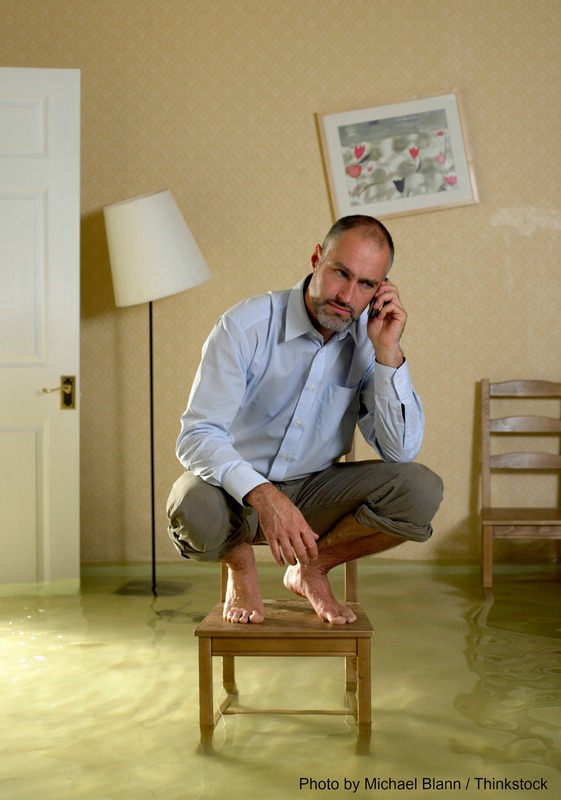 Flood damage on homes are usually costly and time-consuming to repair. You may also need to rent temporarily while the repairs are ongoing, which means additional out-of-pocket expenses. Having a fat savings account would be a life-saver in this case. If budget is an issue, however, the best recourse is an as-is sale, meaning sell house fast to an investor already adept at handling repairs and rehabilitating flooded residential properties. We, at House Sold Easy, buy water-damaged houses and turn these properties around. In our more than 10 years in real estate investment, we have already helped plenty of folks unsettled by severe flooding that from time to time occurs in Missouri. Our professional buyers know how traumatic and challenging it is for property owners with flooded homes and need to sell house fast. For this reason, we have a streamlined buying process wherein a sale could be closed within just a week after our short walkthrough of a residence. Do not worry about a flooded home or if water damage put it in bad condition. Our experts at estimating repair costs will give you a fair cash offer based on the value of the home. We are always ready to help, call us at 636-525-1566 today!